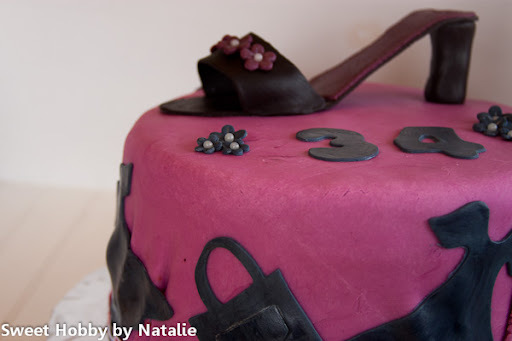 So it was my friends birthday this last week and I have been wanting to try out covering a cake with fondant. I had never tried it before so I figured I would give it a shot. As you can see it was not very successful. Let me tell you that professional cake decorators have to have some upper body strength, cause I sure did have a hard time rolling out my fondant thin. Pretty sure my problem was that this was too thick but once I had it on I could not take it off with out ripping it to shreds so I just did my best with trying to hide all the flaws. I saw a tutorial on how to make a high heel shoe here and template here. I thought it would be perfect for Michelle. 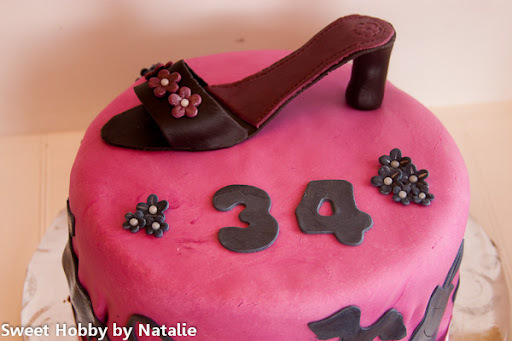 I changed it to an open toe shoe but was happy with my first attempt at the shoe and it seemed to be a hit at the dinner celebration. I will continue to practice and learn and hopefully one day it will improve. 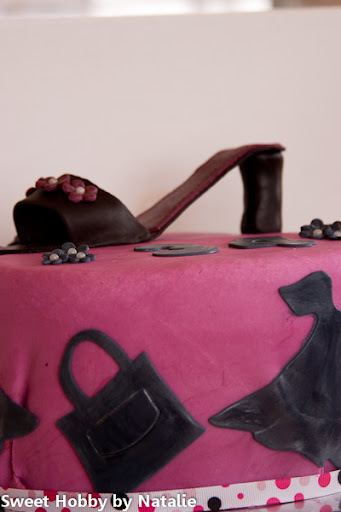 You are amazing, I absolutely LOVED this cake and that heel! Is there anything you can't do? !